Welcome to Joseph Robert Clewley's new missing-person Web site. Joe's old Web site will remain on the Net, but it will no longer be updated. The design, maintenance, and hosting of this Web site are provided as a free, public service of Michigan Backcountry Search and Rescue (MiBSAR) of Marquette, Michigan. the great door, that does not look like a door, opens. Great Lakes-area atlas map of search area. Click here or on map for high-resolution imagery. State of Michigan Road Map of search area. Click here or on map for high-resolution imagery. Chippewa County map of search area. Click here or on map for high-resolution imagery. 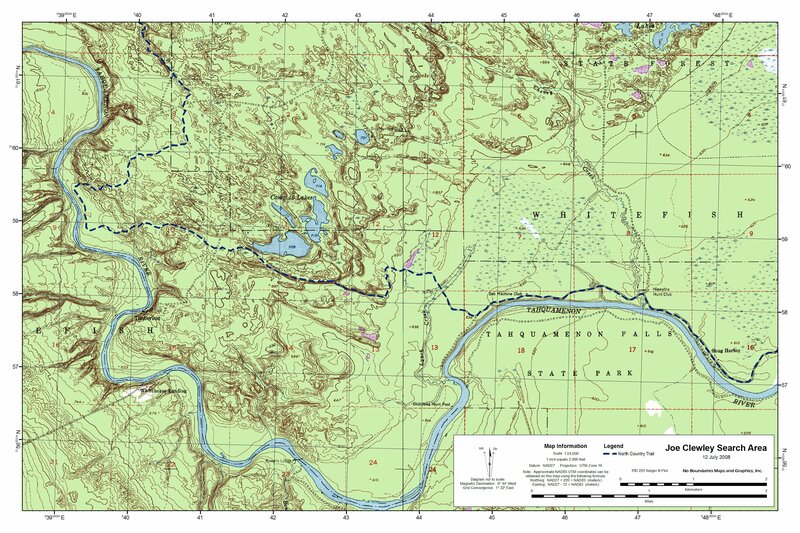 USGS 1:24,000 quadrangle topographic map of search area. Click here or on map for high-resolution imagery. Orthophoto (satellite/aerial) quadrangle of search area. Click here or on map for high-resolution imagery. Official "Exploring Tahquamenon Falls State Park" map. 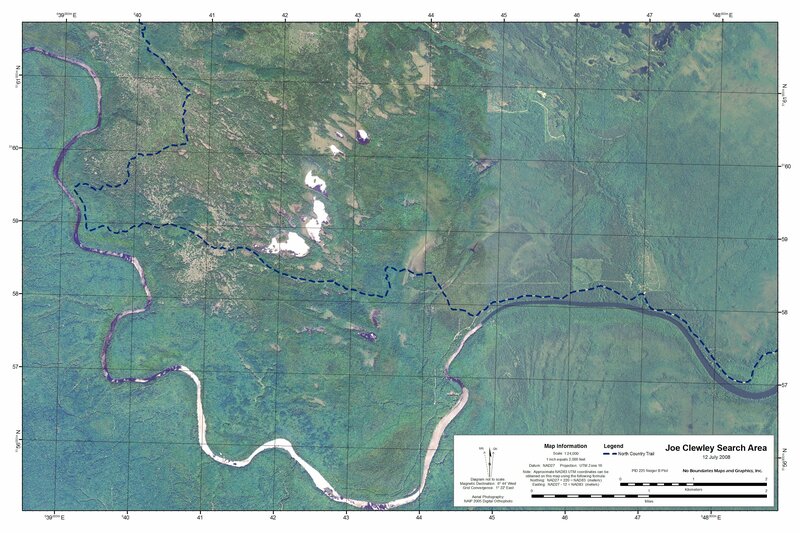 Click here or map for high-resolution imagery. 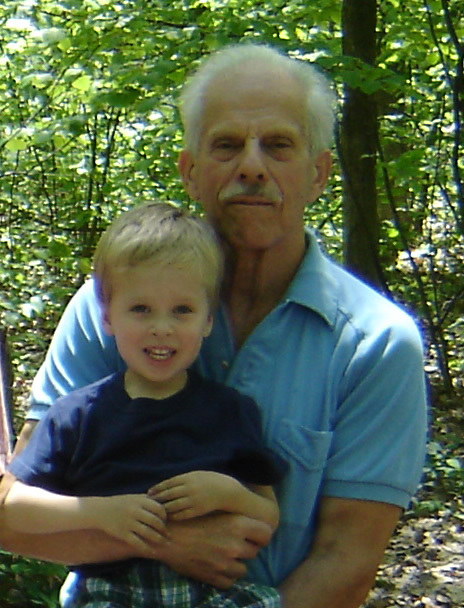 Joseph Robert Clewleya 73-year-old white male from the Higgins Lake area in the Lower Peninsula of Michiganhas not been seen since Sunday, July 13, 2008. His vehicle was found parked along the north side of the Tahqua Trail at the trailhead for the North Country Trail (NCT) in the western portion of Tahquamenon Falls State Park, which straddles Luce and Chippewa counties in the eastern Upper Peninsula of Michigan. 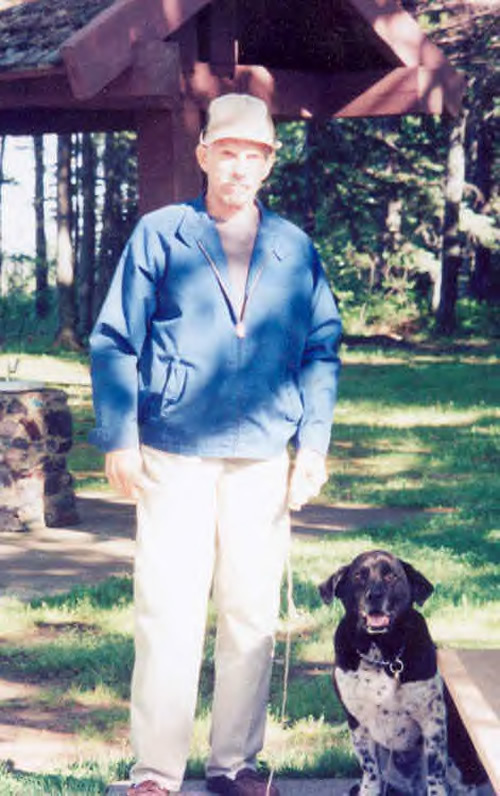 Joe, who was staying at his log cabin along the north bank of the Tahquamenon River, is thought to have gone for a walk along the North Country Trail (NCT) with his dog Chip, something he enjoyed doing almost every day. 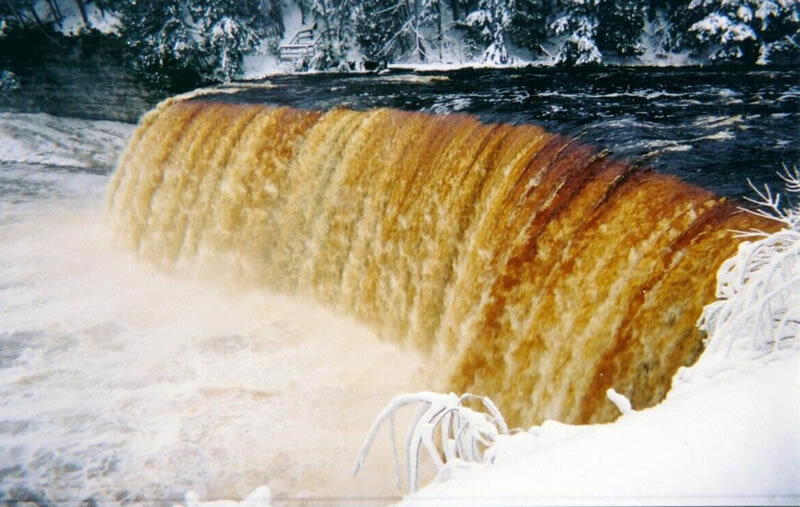 The Tahquamenon Falls State Park area surrounding Joe's log cabin offered him almost unlimited hiking opportunitieswhether along the NCT or cross-country through the bushmuch of it through largely unspoiled wilderness. 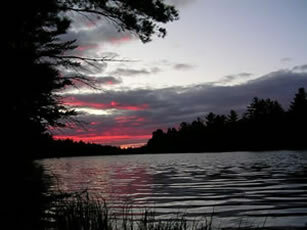 Part of the much larger, one-million-acre-plus Lake Superior State Forest, he thoroughly enjoyed the solitude of the area as well as its many wildlife-viewing opportunities. After hiking to one of his favorite areas, he'd often sit on stump, sometimes for hours, watching sandhill cranes, bald eagles, white-tailed deer, wolves, bear, or his favoritemoose. Shortly after Joe Clewley went missing, the Chippewa County Sheriff's Office launched what would become the largest search-and-rescue manhunt in the county's history. Over the course of the first couple weeks of the county's search-and-rescue operation, dozens of searchers have spent countless hours searching the bush for Joe and his dog Chip. Searchers on footground pounderswere assisted by tracking dogs, cadaver dogs, fixed-wing aircraft, helicopters, vehicles, ATVs, watercraft, etc. While the Chippewa County Sheriff's Office has officially called off the search-and-operation, deputies and detectives continue to investigate the disappearance of Joe Clewley, calling in assets as new leads turn up. Joe's family and friends continue to search for him when they visit the Clewley Family cabin. Michigan Backcountry Search and Rescue (MiBSAR) also continues to conduct search-and-rescue operations in Joe's Country, a challenging swath of bush encompassing some 10,000 acres of pine-studded ridges and wet, swampy lowlands. I stood and looked as far as I could to where it bent in the undergrowth. there had worn them really about the same. Joe's vana 1992, 5-door, silver,Oldsmobile Silhouette van with Michigan license plateswas found parked along the north side of Tahqua Trail in Tahquamenon Falls State Park. 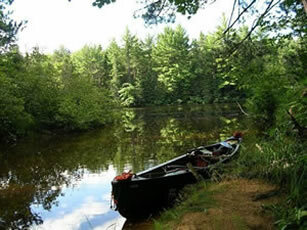 The van was located in the parking area adjacent to the rustic, undeveloped trailhead for the North Country Trail (NCT)a National Scenic Trailabout 5.1 miles west of M-123. This trailhead is located on opposite side of the Tahqua Trail from north bank of the north bank of the Tahquamenon River, which is part of the Lake Superior watershed. Sheriff's investigators believe Joe, accompanied by his faithful dog Chip, went for a hike along the North Country Trail, most likely about midmorning on Sunday, July 13, 2008, a sunny, warm, humid day. to direct the traveler's journey. 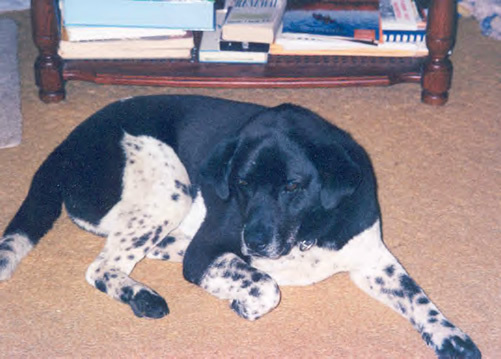 Joes 9-year-old dog Chip was a black-and-white chow-springer mix. He had a black tongue and a curly tail. Chip weighed 45 pounds, stood 21 inches tall, and was 38 inches long. A male, his fur was 1.5 to 2 inches in length. Chip would have been wearing a silver choker-chain collar without a license. Joe reportedly did not use a leash in the bush with Chip. Chip's bark was shrill and piercing, and he reportedly answered to the name Chip. According to Joe's family, Chip was so loyal that he would not have left Joe's side. 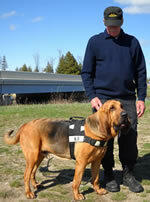 Update: Joe's dog Chip was found outside the Clewley Family log cabin about 2:00 a.m. on August 1, 2008. He appeared to be in good conditionhealthy and cleandespite his 20-day ordeal. He was a little thin though, having lost perhaps 20 percent of his body weight. Chip is now being cared for by a member of the Clewley Family. but Ive been mighty perplexed for two or three days runnin'. At the time Joe went missing, he had been staying at his small, two-room, circa-1920s log cabin, historically referred to as the Chippewa Hunting Post. The Clewley Family cabin is situated south-southwest of Paradise in Chippewa County's Whitefish Township, a small village of some 450 residents located in the eastern Upper Peninsula of Michigan. Visitors to Joe's well-kept cabin perched atop the north bank of the Tahquamenon River can't escape the feeling of stepping back in time. A small, simple, wooden Welcome to the River placard greets those who visit the timeless Chippewa Hunting Post. Inside the main front room, which overlooks the Tahquamenon River, are simple gas lights and an old, wood-fired, cookstove. 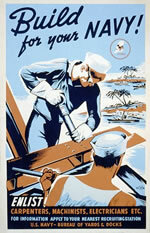 No noisy generators, electric lights, or solar panels. No running water either as Joe preferred the regular task of collecting his from a nearby bubbling spring. in order to be perfectly happy. As one watches the Tahquamenon River slowly pass by through one of the cabin's front windows, a small wooden sign sums up life at the Chippewa Hunting PostSilence spoken here. 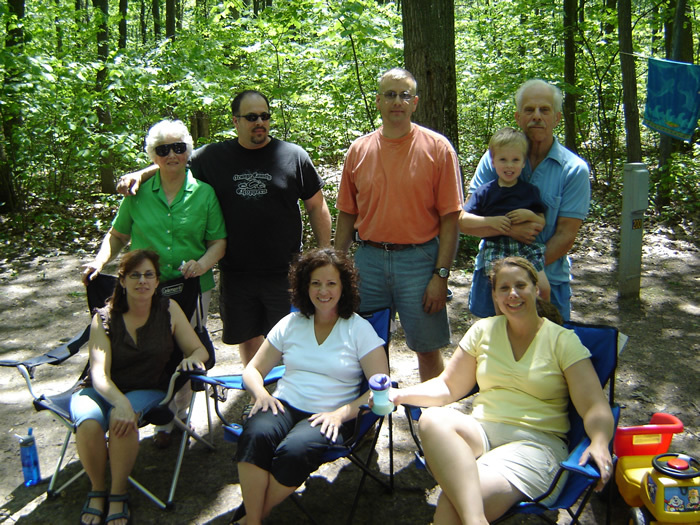 In addition to spending his summers at the Chippewa Hunting Post, hiking throughout Tahquamenon Falls State Park, and watching wildlife, Joe also enjoyed spending time with his family, fishing, bird hunting, and white-tailed deer hunting. but out of doors, nature is company enough for me. Joe and his wife Loraine spent most of spent most of their winters in Panama City, Florida. The trail has taught me much. I know now the varied voices of the coyotethe wizard of the mesa. I know the solemn call of herons and the mocking cry of the loon. and recall the fragrant breath of pine and fir and cedar and poplar trees. and the troubled thinking of our modern day. my cares fall from meI am happy. 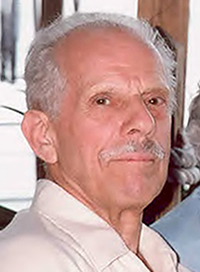 Those lucky enough to have been acquainted with Joe Clewley most likely knew him to be a kind, gentle man. According to one of his nephews, Joe would have given you the shirt off his back, even if he'd just met you. ...Joe is my Uncle. I want to thank you for the time and effort you are putting into finding him. If you had known him, you would have loved him like we do.....loved his family, great sense of humor, and would give you the shirt off his back if you needed it. Thanks again. 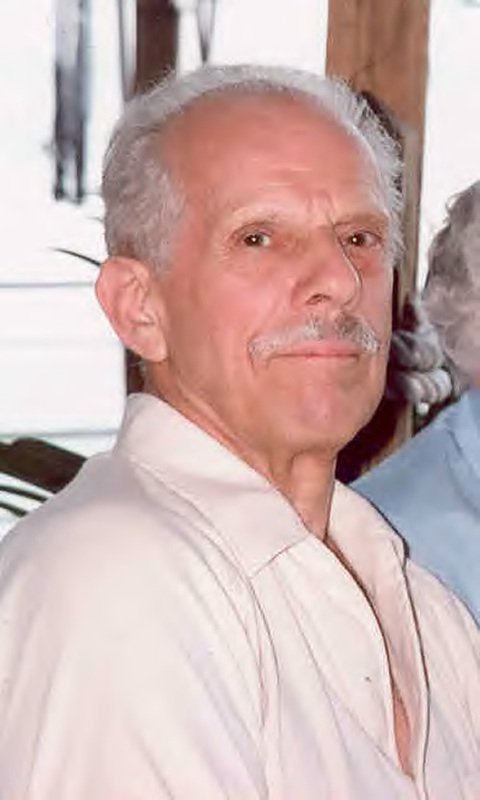 Joe Clewley was born in 1934 in Lansing, Michigan, where he and his three siblings attended elementary school and high school. He studied electrical design at Lansing Community College. During the 1950s, Joe served a tour of duty with the United States Navyactually the Seabees, the Navy's Construction Battalions (CBs)on the island of Guam, a US territory in the western Pacific Ocean. He and his wife, Loraine, were married in Lansing. Together, they had five children: two boys and three girls. In 1972, the Clewley family moved to the Roscommon area where Joe founded Industrial Control Resources, an engineering services company he ran for 25 years. as though they are stepping back in time. walk and be happy; walk and be healthy. is to walk steadily and with a purpose. hale fellows, close upon ninety, but brisk as boys. as the gratification of hunger and thirst and love. It is Natures recall to the simple mode of existence she intended us for. or makes the smallest allowance for ignorance. is the most independent fellow on earth. Deputies and a detective from the Chippewa County Sheriff's Office in Sault Ste. 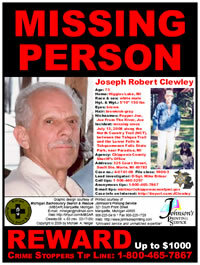 Marie, Michigan continue to investigate the disappearance of Joseph Robert Clewley. If you have any information about what transpired during the July 13, 2008 period when Joe went missing, have any knowledge of his current whereabouts, or have any information relevant to this investigation, please contact the Chippewa County Sheriff's Office in Sault Ste. Marie, Michigan at 1-906-635-6355; the toll-free and anonymous Crime Stoppers Tip Line at 1-800-465-7867; or your nearest law enforcement agency at 9-1-1.